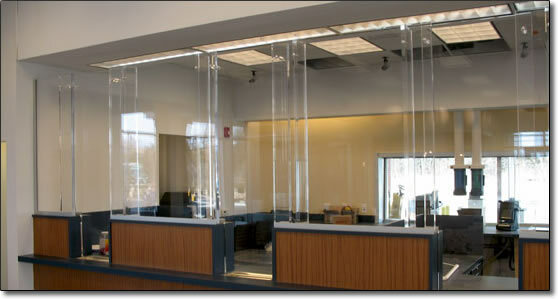 Our bullet‐resistant glass meets or exceeds all UL requirements. Stainless steel construction assures critical protection and a durable all weather finish. Classic angular frame nicely accents any architectural style. May be installed with a transaction drawer. Slightly tilted to reduce glare. Window shades available as an option.